Item number K4.173 from the MOA: University of British Columbia. 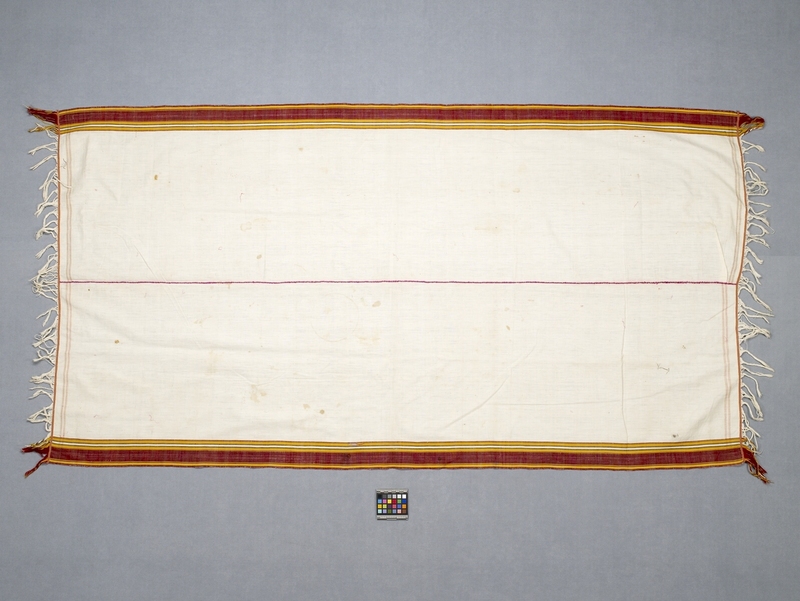 Rectangular shaped textile made of two long pieces of unbleached cotton hand sewn together in the middle with dark pink thread. The ends have a narrow band consisting of narrow stripes of dark red, yellow, navy and green followed by a twisted thread fringe. 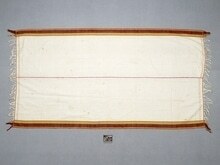 The bottom is decorated with a thick brown band with thinner yellow, brown, beige and dark green stripes. used as a blanket or as a cape.